Phone charging is the world’s latest innovation in customer service, and having access to a smartphone is now a necessity in so many industries. 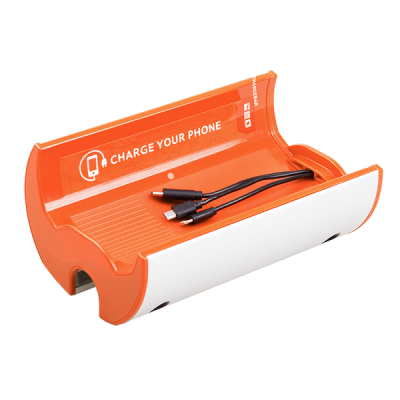 Charging services can be provided by any space, big or small, thanks to Chargebar. For bars, pubs, and late-night venues, a Chargebar is a great way to keep people in your venue, checking in on social media, buying drinks, and having a great time, whereas at the other end of the spectrum, phone charging is so important to a hospital, to keep loved ones connected when they need it the most. 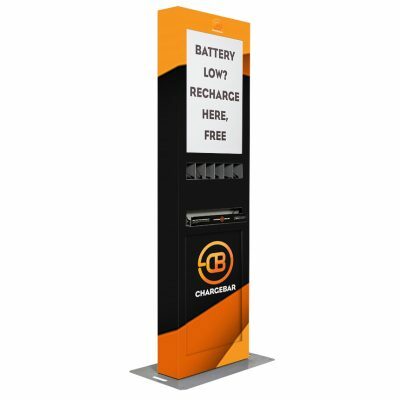 Chargebar has placed over 6000 charging stations across Australia, in venues ranging from 10-seater cafes, to 80,000 seater stadiums. 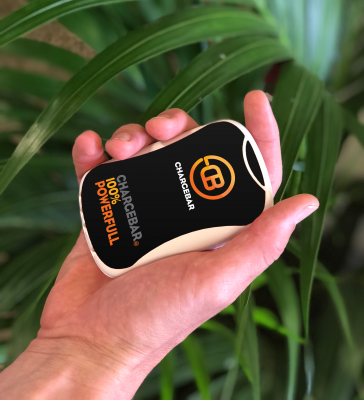 With such a broad product range, and Chargebar’s guidance, any space will find a solution, to provide phone charging to battery-hungry Australians everywhere. This guide will give any venue a great insight into the phone charging service they should provide, check out our venue solutions pages to see why any venue should offer a chargebar. These are the simplest ways to provide an efficient, affordable, convenient charging service. Chargebar’s Riley, Kippax, and Carrington make sure venues of any size can provide a charging service. 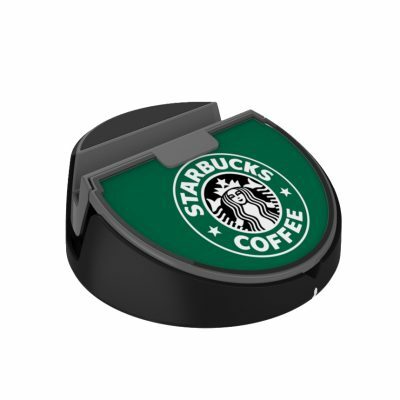 Often considered the most convenient charging solutions, customers will always appreciate the flexibility of taking a portable bank back to their table, desk, or seat. The Devonshire or Cleveland are the perfect Chargebars to provide this service. If your venue is able to manage power banks (we recommend taking a customer’s ID as a deposit when they take a disc or bank), then a portable solution is a great way to keep your venue charging on. 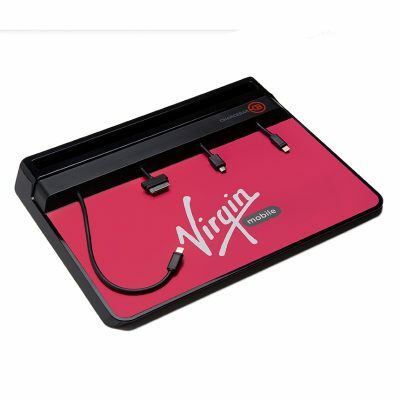 For a more specific type of business, Chargebar has the Chargecart. 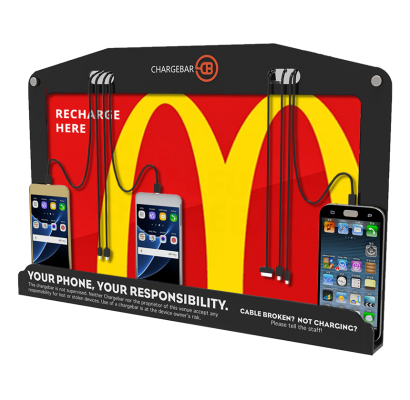 This all-new way to provide a charging service lets shoppers charge their phones while they shop. The Chargecart attaches easily to any shopping trolley, providing a truly unique service. 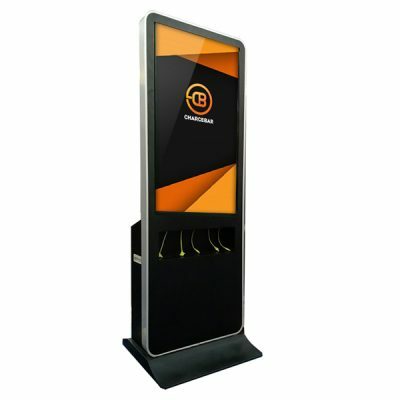 With a strong focus on branding, Chargebar’s vibrant, eye-catching kiosks are the perfect way to stand out at an event, in a venue, or anywhere they’ll fit! The sleek designs of the Foster, or the all-new Bennett are the absolute last word in branding. 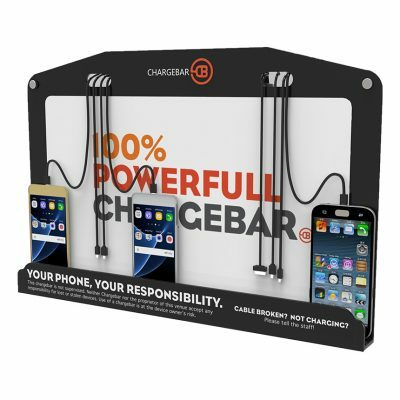 Able to charge upwards of 16 phones at a time, completely vinyl wrapped, with beautiful digital displays, these Chargebars will make a huge statement, wherever they’re placed. 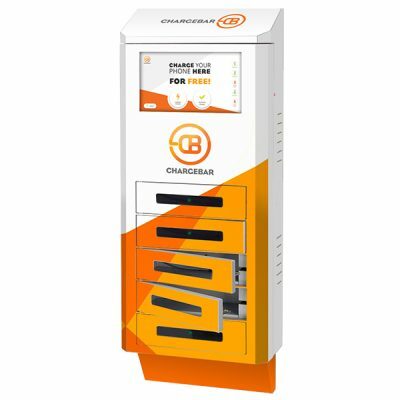 Chargebar’s lockable solution, the Chargesafe, is Australia’s favourite phone charging locker. With 5 secure bays, a compact design, and branding capabilities to rival those of the Foster and the Bennett, the Chargesafe is the ultimate unmanaged solution. The Chargesafe is available as either pay-to-use or free-to-use, wall-mounted or freestanding, so any venue can offer an advanced, modern, in-demand service. This is the only locker available that’s completely Australian owned and designed, and is by far the most affordable in Australia. With so many venues providing chargebars to their customers nowadays, personal charging banks are becoming less and less of a necessity. 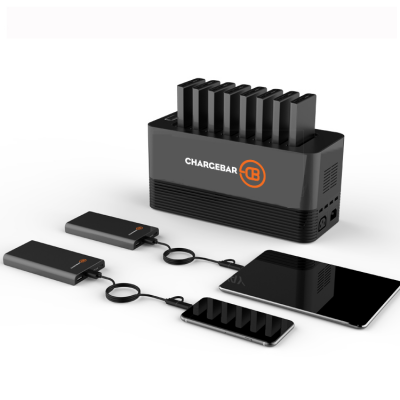 However, just in case, Chargebar does offer the Pocket Power Pack, the world’s most versatile personal charging bank. With cables for any type of phone built-in (and a torch! ), it has everything you’d ever need. 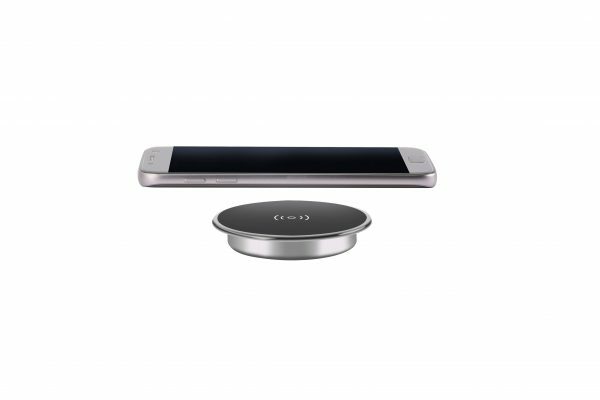 Wireless charging pads are electronic pads that charge devices using nothing else but a simple contact. This process is called inductive charging, and is the newest innovation in the phone charging space. Chargebar offers a very affordable wireless charging pad, to be built-in to any flat surface, keeping any space looking modern and exciting. Why do you need a Chargebar? Put plainly and simply – you need a Chargebar because everyone needs their phone. Phones are getting better and better, but batteries aren’t keeping up. In this day and age, people will often go home to charge their phones, ending their night out prematurely. Placing a Riley on the wall, or handing out Cleveland power banks will make sure nobody leaves your venue to charge their phone. You’ll keep visitors dwelling for longer, grabbing a few extra drinks or snacks, posting on social media about your venue, calling friends to meet them, and driving extra foot traffic with Chargebar’s location service. On top of all of this, having custom artwork installed on your Chargebar makes sure users know who to thanks for the service. Customers are fully engaged with your brand whilst involved in an overwhelmingly positive experience. How Does Custom Artwork Work? 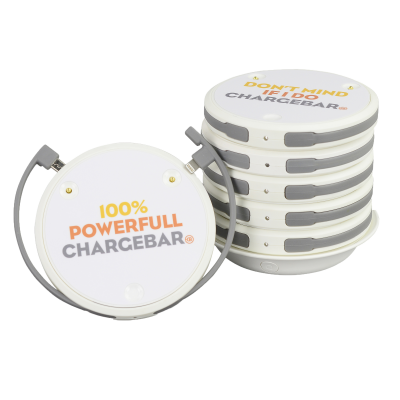 All of our chargebars have the option of custom branding, a great way to stand out in a busy setting, and an innovative way to promote your business. All branding is completely custom, we can either provide you with a template, or we offer graphic design services. All artwork is printed and shipped to the exact specifications of your Chargebar, and has been designed to be super easy to install! Most of our customers use their artwork as a great way to promote their brand in an overwhelmingly positive sense. 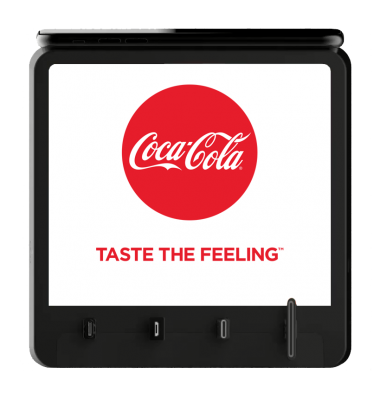 Phone charging station users are experiencing relief, and happiness, whilst fully engaged with branding on a chargebar. Some of our customers opt to sell the branding space on their chargebars, generating an extra source of revenue for their business. There are well over 5000 locations around Australia that provide chargebars as a service. We pride ourselves on providing charging solutions for every space, so you’ll find chargebars everywhere, from cafés in Alice Springs to ANZ Stadium in Sydney. TO locate your nearest Chargebar, go to our locations page. Check out our venue solutions pages for more info on the different venue types we supply to, or check out our blog article The 3 Best Places to Charge Your Phone. Here are a few handy tips to make sure you get the most out of your Chargebar. There are a few things to keep in mind, to fit your venue, your customers, and your staff. Make sure your Chargebar is in the right spot. Selecting the right place to put your Chargebar is incredibly important. We always suggest placing it somewhere people gather, but not in the way of an important thoroughfare. For a pub, this might be just beside the bar, and for a hospital, this would be on a waiting room wall. If revenue is your play, you want to encourage customers to gather somewhere that leads to them spending money, and keeps them in the venue. Which Chargebar is best for your venue? This really comes down to the size of your venue, and how busy it is. For a small café, you’d probably want to go with something more compact, such as a Devonshire or a Kippax. However, for a busy pub in a capital city with thousands of visitors on a Saturday night, a Chargesafe or two would be the way to go. Take into account your clientele to judge whether you should be charging them a small fee to use your Chargebar, or offering the service for free. Make sure your visitors know! This seems like a no-brainer, let everyone know you offer the service! A lot of our customers like to put up posters, small window stickers, or put flyers on tables. Advertising visible from the street will drive additional foot traffic to your venue, attracting customers that would have just walked past. Some Chargebars obviously stand out more than others, so if this is the way you want to go, we’d recommend the Riley LED, or a Kiosk Chargebar. This entry was posted in Blog, Chargebar Insights. Bookmark the permalink.